OXFORD, Miss. – Joseph Sumrall, a professor of science education at the University of Mississippi School of Education, has been elected to serve as future president of the Mississippi Science Teachers Association, starting in 2020. Sumrall, who has been a member of MSTA since 1987, wants to incorporate more opportunities for north Mississippi teachers and college education students across the state to become more involved with the association during his presidency. He was elected for the position by members of the association who were in attendance at the MSTA annual conference. “It’s an honor that I was elected by my peers for this position,” Sumrall said. “It was an honor to even be nominated for this position. I was very happy to learn that I was elected. MSTA’s mission is to promote quality science education, professional development in content areas, implementation of science inquiry and the networking of science educators, according to its website. The organization publishes a monthly newsletter and owns a Facebook page and website with resources and lesson plans that teachers can access for activities. MSTA hosts an annual conference on the Mississippi Gulf Coast. Before being elected as future president, Sumrall was the professional liaison officer for the organization, a position that seeks comparable conferences and programs for MSTA members. “Dr. Sumrall’s election is a reflection of his hard work in education throughout his lifetime,” said Susan McClelland, UM chair of teacher education. “He is not only a distinguished collegiate educator, but he is also recognized on the K-12 level because of his work with MSTA and his work in schools that he still pursues. Sumrall earned two undergraduate degrees from UM in zoology and chemical engineering in 1978 and 1982, respectively. He also holds master’s and doctoral degrees in education from the University of Southern Mississippi. Developing curriculum for the K-12 classroom and research in science education has led Sumrall to more than 30 publications in national journals and multiple grant fundings. Sumrall was a high school science teacher in Florida until he earned his doctorate and began his college teaching career as an assistant professor at Northeastern Illinois University. 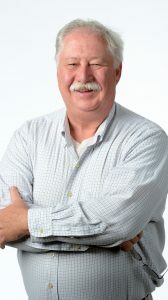 He has been an Ole Miss faculty member since 2000 and previously served on the faculty at Mississippi State University.